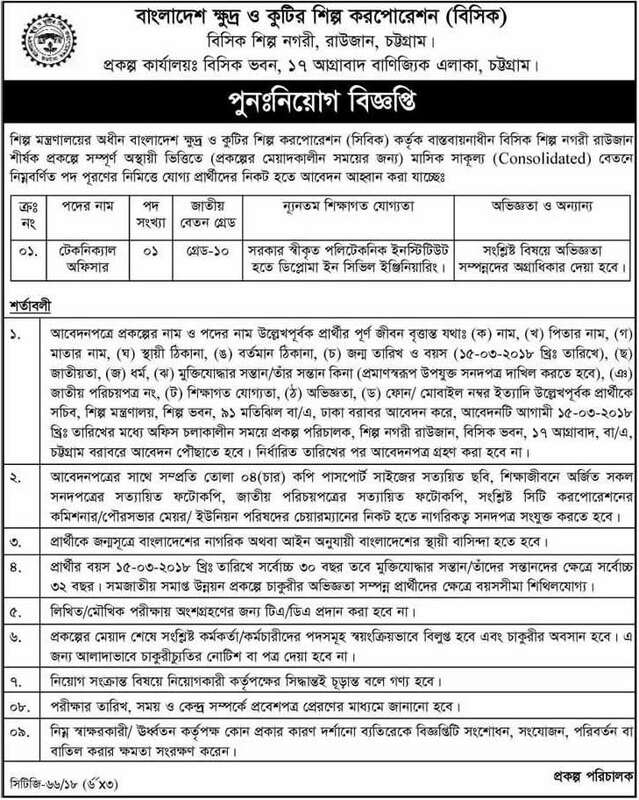 Bangladesh Small and Cottage Industries Corporation(BSCIC) published new Recruitment notice in 2018.BSCIC job circular published at daily newspaper and there official website bscic.gov.bd on 22 February 2018. www.bscic.gov.bd published job application form, Notice etc. Let`s check below New BSCIC notice in 2018. Next Increase the age of entry Govt Jobs from 30 to 35 years!